This September (Monday 23rd, to be exact) Nintendo will celebrate its 130th anniversary. Founded back in 1889, it famously started out as a manufacturer of playing cards. Eventually, the company went into the toy market with the Ultra Hand, an extendable arm developed by an employee in his spare time. Those gadgets quickly led to the development of more sophisticated electronic toys. 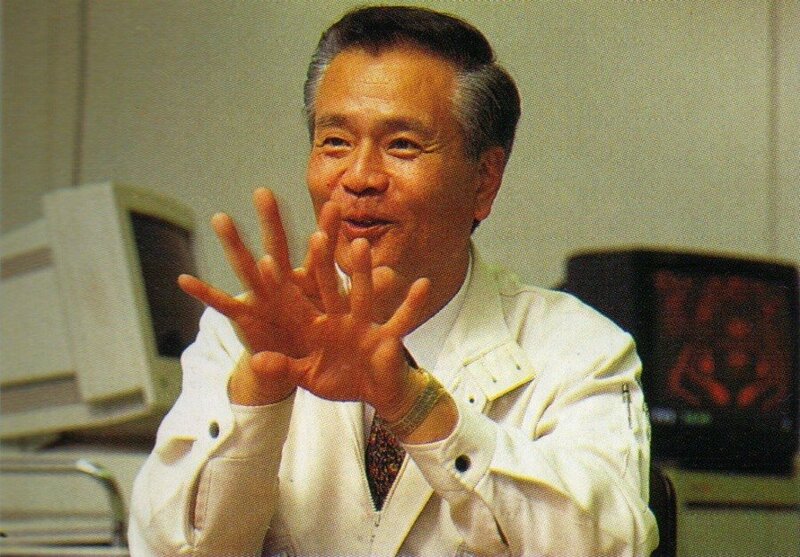 The Ultra Hand’s creator, Gunpei Yokoi, would go on to develop the Game & Watch handhelds (where the D-pad debuted) and the all-conquering Game Boy. 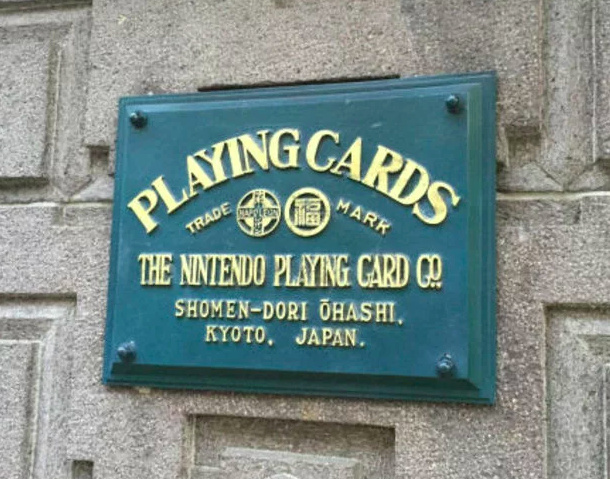 For these reasons, Nintendo fans are familiar with his name, as well as that of a certain student who joined the company in the mid-'70s, working under Yokoi as Nintendo took its first tentative steps into the realm of arcade and home video games. As the father of Mario, that student – Shigeru Miyamoto – has become synonymous with ‘Nintendo’ to an extent. However, as the celebrated figurehead behind some of the greatest video games in the medium, he is often credited for successes that he had only a cursory hand in developing. Back in the 1980s, employees at many Japanese companies were treated as mere ‘salarymen’ and credits (if the game had any) often used pseudonyms, meaning reliably identifying who did what can be difficult. Couple this with the managerial structure, games with multiple directors and cross-pollination between disciplines – and the inevitable toll time takes on the memories of those involved – and piecing together exactly who worked on some of the biggest video games of all time can be tough. Fortunately, Nintendo’s history is more storied than many of the companies developing games in the era. 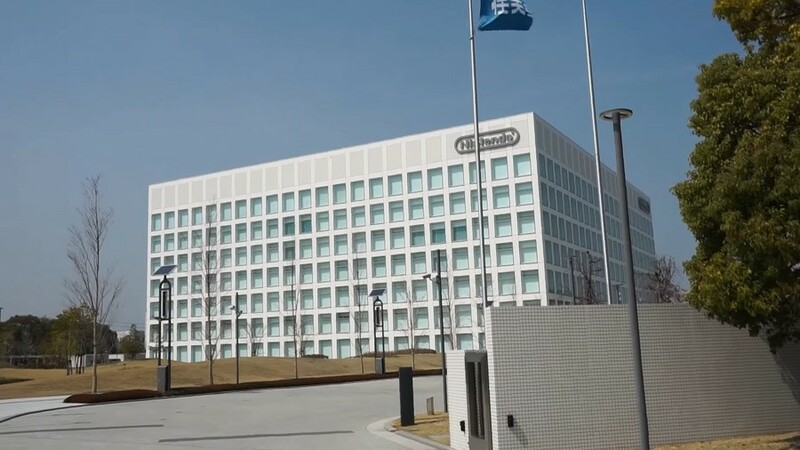 Many of the company’s luminaries are still there after thirty years or more, and the Iwata Asks series of developer interviews conducted by then-President of the company Satoru Iwata provided valuable insight into that bland-looking building in Kyoto, its personnel and development processes. Gotta love those Nintendo overalls. In this feature, as well as looking back at the well-known contributors to Nintendo’s success, we hope to acknowledge some of the lesser-known employees as well, highlighting a broad spectrum of talent that has worked to bring us the games we’ve loved. Of course, any selection of this kind is bound to omit key figures in the rich history of the company and its games; with so many departments and divisions involved in making video games, it would be impractical to list every significant person, and this selection is large enough already. Large as it is, the almost total lack of women on this list is startling to see in 2019, perhaps reflecting the corporate culture prevalent at the time of its rise to the top, and the lack of opportunities for women in engineering back then. Happily, that appears to be slowly changing; Nintendo recently highlighted the diversity that characterises the company nowadays and, hopefully, we’ll see the fruits of that reflected as it continues to evolve. Best to start at the beginning, no? 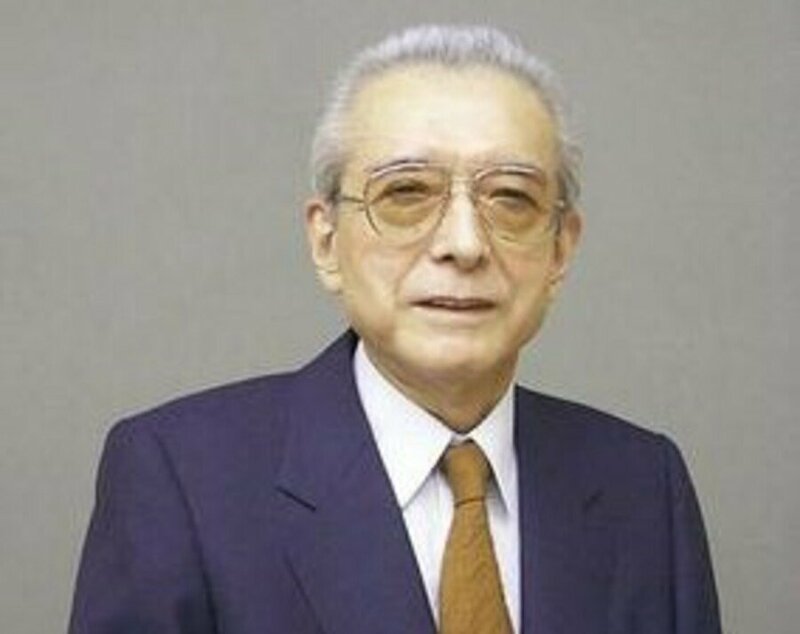 Fusajiro Yamauchi founded Nintendo to make Hanafuda playing cards which kept the company in business for a good sixty years or so. He was the man responsible for christening the company – the debate over the exact origins and meaning of ‘Nintendo’ is an article in itself. A little more vanity and who knows – we could have been playing the Yamauchi Entertainment System. YES. A severe-looking individual with a reputedly fiery temper, Hiroshi Yamauchi is the man responsible for moving Nintendo away from playing cards and moulding the company into its modern guise. After brief dalliances in a wide variety of areas in the early 1960s (including taxis and ‘love’ hotels), Yamauchi redirected the company into the toy market and consequently into video games. 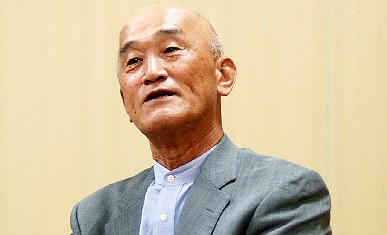 Famously more interested in playing Go than any of that video game nonsense, Yamauchi’s gifts included recognising talent when he saw it, filling Nintendo’s ranks with the best people and having an uncanny ability to divine what was needed in any given situation – the addition of a second screen to Nintendo DS came at his insistence despite having retired and relinquished his presidential post to Satoru Iwata. It seems he had some ’eccentric’ policies, but his iron fist approach to business held him and his company in very good stead for 53 years. ‘Who’s this reclusive shadowy figure?’ you ask. A creative fellow in deeds and title, there’s no need to dwell on this guy – as you well know, he’s had a hand in making more great games than you’ve had hot dinners. His hobbies include upending tea tables, exploring new cities without a map, gardening and playing the banjo, and he likes to turn those experiences into video games; most of the time, that goes very well indeed. We’ll let the odd Wii Music slide – they can’t all be winners. He’s reportedly a hard taskmaster that doesn’t dole out praise easily, but he’s been training up the next generation of developers and gradually adopting the role of overseer and ambassador. Our colleague Ryan still regales us with the story of meeting Miyamoto (and the next person on our list) and it still makes us green with envy. Come to think of it, that’s probably why he does it. Tezuka has worked at Nintendo since 1984 and has had a hand in creating some of the company’s most celebrated and iconic games, including director credits on The Legend of Zelda, Super Mario Bros. 3, Super Mario World, A Link To The Past and Yoshi’s Island – not a bad start to the CV. Despite the stature of these games, it’s only really in recent years that Tezuka’s taken a more active role in the limelight. 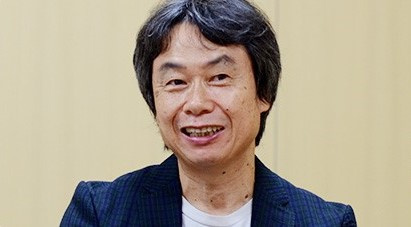 He accompanied Miyamoto and featured prominently in the promotion of Super Mario Maker and it feels like he’s finally enjoying some recognition for that list of classics above, plus a lot more besides which he has taken a key role in creating. 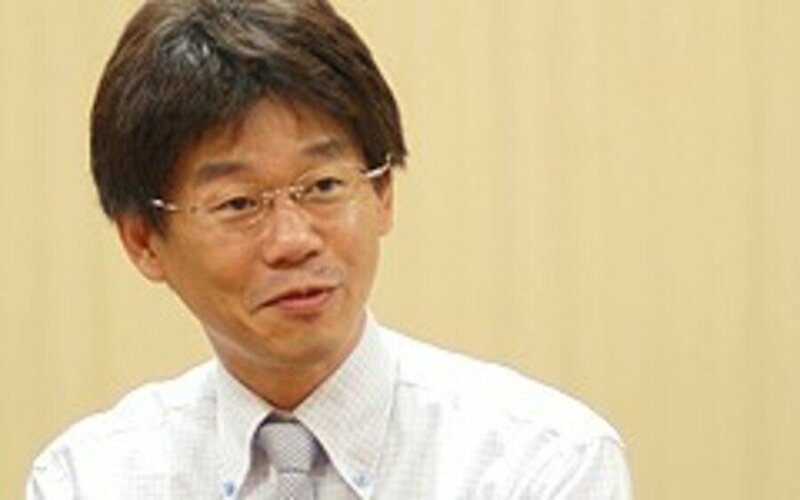 Originally an engineer with Sharp, Uemura is the man most directly responsible for designing the Famicom and its western counterpart, the NES. Having designed a slew of Nintendo’s early consoles, he’s behind the classic hardware iconography that Nintendo continues to tap to this day. For more information about this pivotal player in Nintendo’s history, check out USGamer’s interview with him. As long as Nintendo continue to mine their catalogue for retro kudos, his influence will be felt. 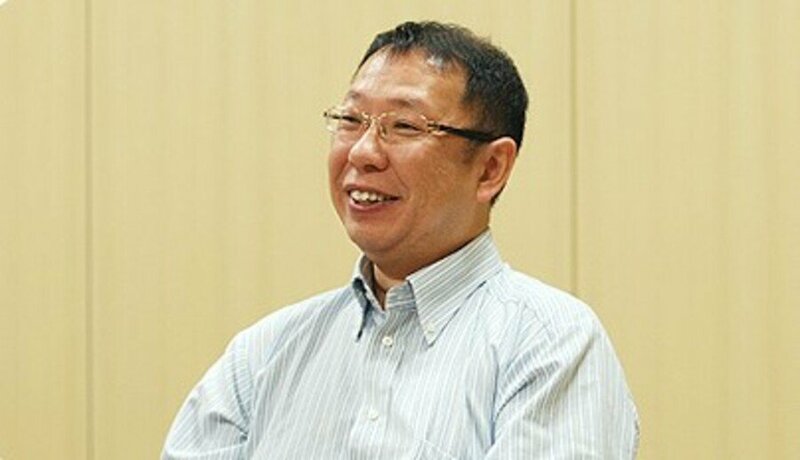 Another long-term employee, having been with the company since the 1974, many people might see his producing credit on Super Metroid and say ‘yep, fair enough – he’s definitely on the list’, but Kano worked as Concept Designer on the original Metroid as well as Famicom Wars and Kid Icarus. That’s three (okay, two-and-half) significant franchises that he helped create from the very beginning stages, laying the blueprints for future classics. 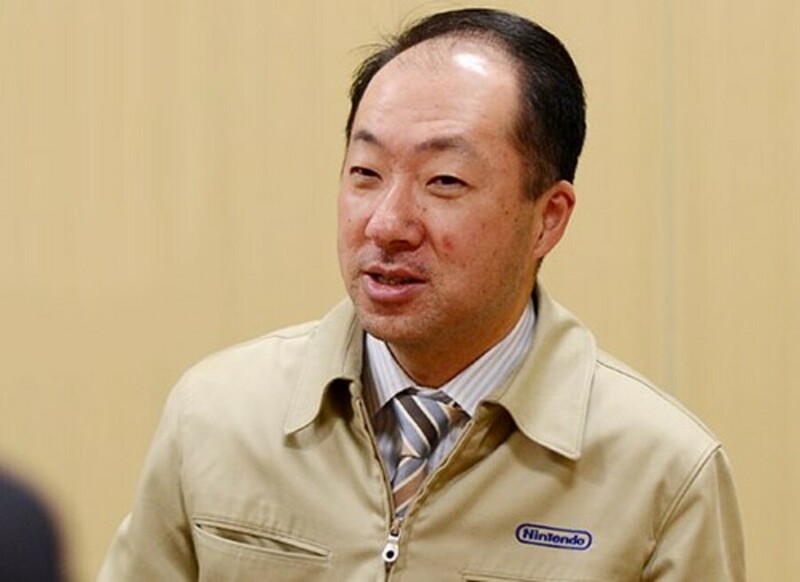 The director of Metroid and Super Mario Land, Okada worked primarily as an engineer on Nintendo’s handheld hardware, all the way from the original Game Boy up to and including the DS. 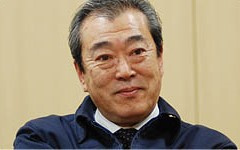 He actually opposed the addition of a second screen initially, but the indomitable ex-president Hiroshi Yamauchi exercised his authority over naysayers as chairman of the board of directors. The decision turned out to be another prescient one from Yamauchi, which Okada acknowledged. He retired in 2012 with an impressive lineage of Nintendo handhelds to his name. This guy has one impressively long list of credits to his name and has had a hand in many of Nintendo’s best puzzle games including Dr. Mario, Tetris Attack (Panel de Pon in Japan) and Tetris DS. He’s the former manager of SPD2 (Software Planning & Development group 2) and has acted as producer on many more titles, most notably the Fire Emblem and Pokémon series. 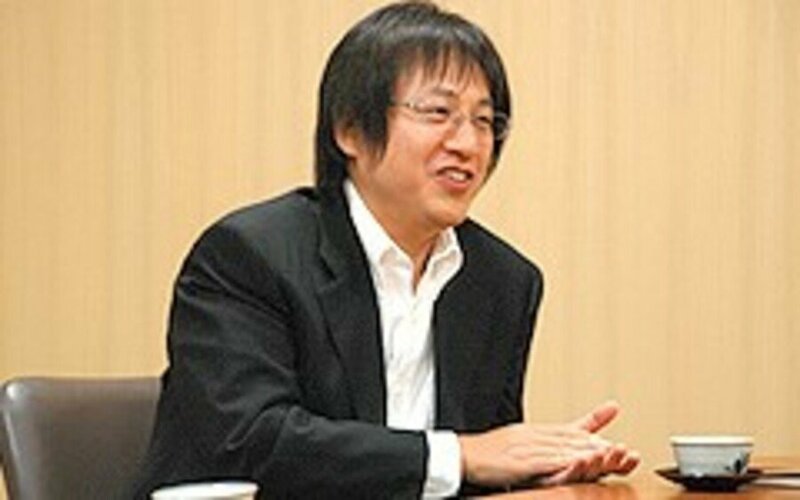 A recognisable face from various Iwata Asks and the man who earlier this year delivered the news that Metroid Prime 4 would be restarting development, Takahashi is Senior Managing Executive Officer, whatever that is exactly. Browsing through his long list of credits, we could pick out his co-directing duties on Wave Race 64 as a particular highlight, but he has a staggering amount of General Producer credits. He’s one of those people who despite having their fingerprints on dozens of classics, you probably wouldn’t think of if asked to name a dozen Nintendo employees. Bland, nebulous titles such as ‘Assistant Producer’, ‘Project Coordinator’ or ‘Supervisor’ obscure important contributions, especially in logistics, planning or localisation roles, meaning these people rarely get the recognition they deserve. Check out their credits, though, and you’ll likely be surprised to find just how many of your favourites they’ve worked on. 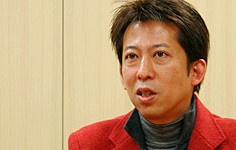 After joining Nintendo in 1988, Kimura did character design on Super Mario Bros. 3 before moving on to direct and design Metroid II on the Game Boy. He then did background design work on Super Metroid before joining Miyamoto’s EAD (Entertainment Analysis & Development) group. More recently he’s worked on the Pikmin and New Super Mario Bros. series. A very nice little resume, then. Upon joining Nintendo in 1994, he was put to work designing characters for Yoshi’s Island. From that auspicious start he went on to direct much of the Animal Crossing series and has most recently been involved with production on the Splatoon games in his current role as Deputy General Manager for EP&D. It’s hard to argue, though, that the most impressive thing on his CV is obviously the ‘Word Swooping’ he did on Rareware’s seminal 1998 3D platformer, Banjo-Kazooie (along with Keisuke Terasaki). Now that’s a video game. Another employee with a broad spectrum of talents, his design skills were first put to use on backgrounds and characters for F-Zero on the SNES and he’s been involved with the series ever since – we’re big fans of that franchise, as you may know. That’s wonderful, you may be thinking, but what’s he been up to for the past sixteen years? Well, he’s also involved in a similar capacity with the Star Fox series from the original game, where he worked with Dylan Cuthbert, right up to the bespoke Switch content for Starlink: Battle For Atlas. Being the creator of Fox McCloud and Captain Falcon (and, perhaps most notably, Tingle), he also has a ‘Supervisor’ credit on Super Smash Bros. Ultimate. Having said that, practically everybody on this list gets a credit in Smash Bros.
After joining Nintendo in 1986, Konno designed levels for Super Mario Bros. 3 and Super Mario World before moving on to directing the Mario Kart series which he has remained involved with to this day. He was a director on Yoshi’s Story and Luigi’s Mansion and also worked on Nintendogs. He’s currently managing Nintendo’s mobile output, arguably the perfect person to oversee development on the upcoming Mario Kart Tour. Another very familiar name. 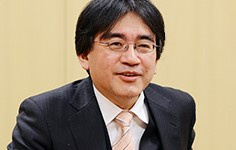 Iwata’s background gave him an insight into game development that made him very much the ‘programmer’s president’, a total contrast to his predecessor. 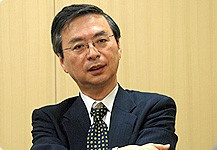 The first president to come from outside the Yamauchi clan, his tenure was characterised by opening up the company to a broader audience with the Nintendo DS and Wii and communicating more directly with that audience through the Nintendo Direct presentations. He also helped feed fans’ curiosity for behind-the-scenes information about games development with the Iwata Asks interview series. That’s just his presidential legacy – before joining Nintendo he was a programmer at HAL (and became president there, too, at the behest of Hiroshi Yamauchi) working on multiple games including Kirby, Earthbound and Super Smash Bros.. 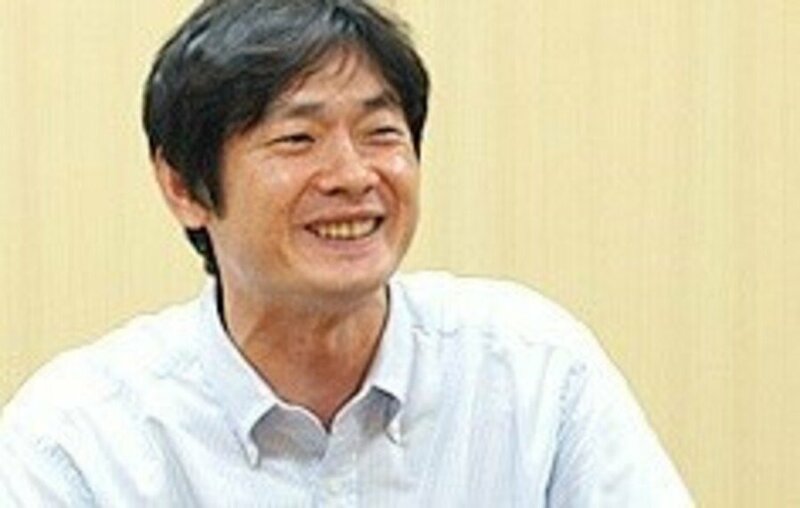 It was famously down to his programming skills that Pokémon Gold and Silver featured the entire Kanto region in addition to Johto, and when things got tough around the Wii U era he took a pay cut and put Nintendo on the trajectory to the success its now having again with Switch. 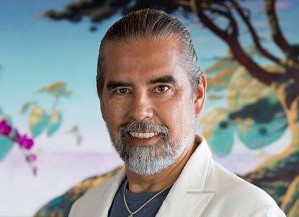 His death in 2015 was felt across the industry but his fingerprints can still be found across Nintendo and the company’s output. The man behind the D-pad, the Game and Watch series, the Game Boy and steering Nintendo into the toy market with the Ultra Hand, Yokoi’s impact on Nintendo and the gaming industry at large was tremendous. 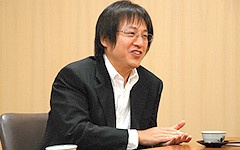 He left the company in 1996 following the failure of the Virtual Boy and developed the WonderSwan handheld console before his death in a traffic accident in 1997. He also had a hand in producing Metroid and Kid Icarus. Yokoi was a bit proponent of using ‘mature’ technology to deliver fun experiences, from the toys developed in the early days up to the humble Game Boy. This approach has characterised Nintendo’s home console development ever since it left the graphical ‘arms race’ after the GameCube and adopted Yokoi’s approach with the Wii. So it continues with the Switch – a console delivering new experiences and ways to play using established, proven technology. 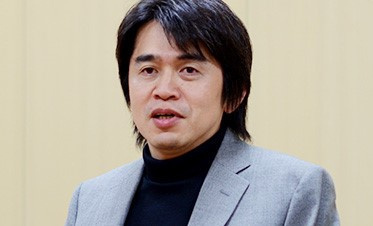 The most current and recognisable face of the Mario franchise (after Miyamoto, of course), Koizumi has been responsible for the plumber’s most recent, most excellent series entries. Don’t let that youthful face trick you, though – he’s a veteran of the company whose first game was A Link To The Past for which he provided the back story and some design work. He would go on to be an assistant director on Super Mario 64 with Takashi Tezuka and Shigeru Miyamoto, so he’s hardly the fresh-faced new kid on the block you may think. 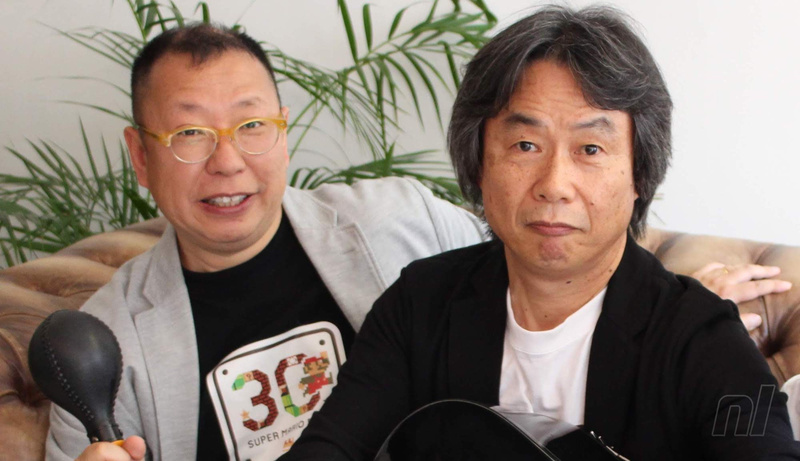 As sole director on Super Mario Galaxy and Super Mario Sunshine, he’s proven that Mario has a very bright future when Miyamoto retires to play banjo in his garden. Joining the company in 1983, Sugiyama’s design work informed several games from the early NES and SNES period. He designed the Ice Climbers and his first directing credit was on Zelda II: The Adventure of Link. He then moved on to the Mario Kart series and F-Zero, more recently with producing duties on Wii Fit and Star Fox. First starting out as a designer on NES Open Tournament Golf, Aonuma has shaped the Zelda series for many years now. It was his work on the Japanese-only SNES title Marvelous: Another Treasure Island that got him noticed by Shigeru Miyamoto, who promptly got him to work designing dungeons for Ocarina of Time. 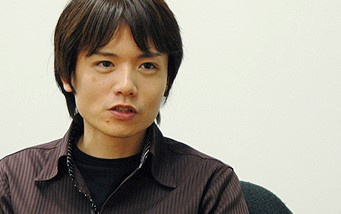 He then went on to co-direct Majora’s Mask (with Yoshiaki Koizumi, in fact) after which he was given the keys to the series which he has overseen ever since, so his influence on one of Nintendo’s crown jewel franchises cannot be understated. 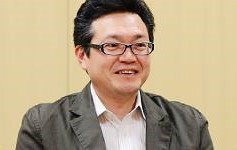 Sakamoto is a veteran of the company since 1982 and responsible for the direction and writing behind most of the major Metroid games since Super Metroid (minus the Prime games). ‘Nuff said, really. While his reputation as ‘Mr. Metroid’ makes him a revered member of Nintendo’s creative workforce – especially in the west – he is also heavily involved with the design of the brilliant WarioWare microgame series as well as production of the Rhythm Heaven games. The musician behind many of the classic tunes from the Super Mario and Zelda games, it’s his music that brought those 8-bit worlds to life. Nowadays the incredible scale of Hyrule can be realised in three dimensions, as we’ve seen in Breath of the Wild, allowing the music to take a backseat – an accompaniment to the world. Back on the Famicom, though, make no mistake – it was Kondo’s music which made Link’s adventures epic. 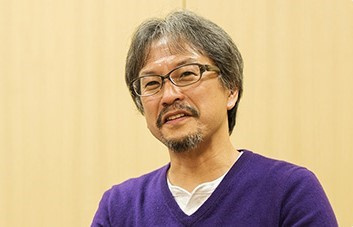 These days he’s supported by a talented team of composers including Naoto Kubo, Shiho Fujii, Mahito Yokota, Toru Minegishi and Yasuaki Iwata to name a few, but the original themes he wrote for those smaller compartmentalised worlds continue to echo through the company’s biggest games; part of the fabric of those places and of Nintendo itself. Starting at the company in 1986, Eguchi was a designer on Super Mario Bros. 3 and moved on to directing with Star Fox and Wave Race 64 before taking on the Chief Designer role with Yoshi’s Story. He’s produced many games across the Wii, Wii U and 3DS consoles, but these days he’s probably best known as the creator of the Animal Crossing series. Takeda retired in 2017 after spending 45 years at Nintendo. According to Shigeru Miyamoto and Satoru Iwata (and they’d probably know), he was Nintendo’s first ever game designer working on an arcade game called EVR Race. Later on he would mastermind Punch-Out!! 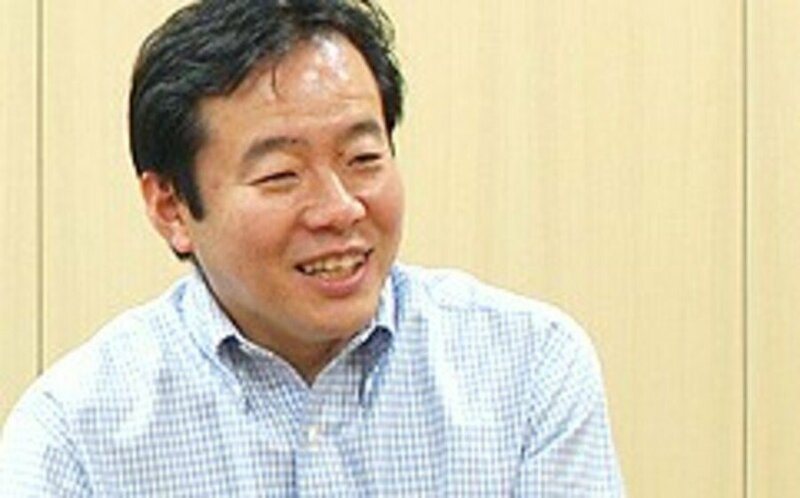 and StarTropics but he spent most time developing console hardware – he worked alongside Masayuki Uemura designing chips for the Famicom/NES and was heavily involved in the development of the Wii. 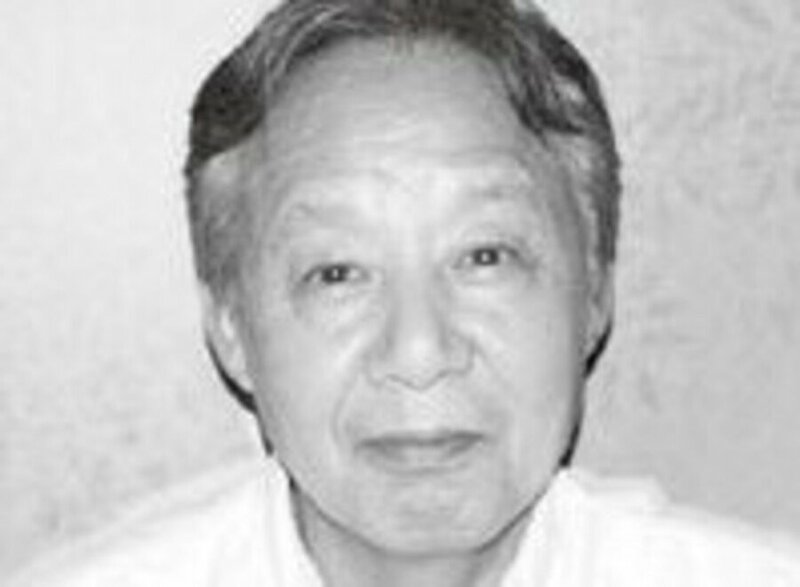 Nintendo of America’s first president and a key figure in bringing NES to the US, he was also Hiroshi Yamauchi’s son-in-law. 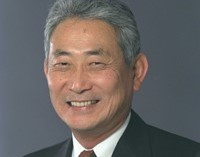 Yamauchi’s ‘encouragement’ led to his deployment overseas and directing his efforts to establishing Nintendo’s presence in the USA. It’s Arakawa who christened the plumber hero of Donkey Kong ‘Mario’ and he who shaped the west’s perception of the company following the video game crash of 1983. Lincoln practised law by trade and became a Nintendo employee in 1983. He had been responsible for hiring the lawyer who won a big case for them in 1981, saving the company after Universal Studios took it to court over the usage of ‘Kong’ in the title Donkey Kong. As Chairman of Nintendo of America, he represented the company during the US Senate hearings on video game violence, famously stating that Night Trap would never appear on a Nintendo system. You can't win 'em all. A Dutch designer who led development of The Black Onyx, one of the very first turn-based role-playing games in Japanese, Henk (not Hank) Rogers is most famous as the man responsible for securing the licence to Game Boy’s killer app, Tetris. The race to Russia to get those rights has been documented various times, including in a BBC documentary that we thoroughly recommend – it’s a fascinating yarn involving confusion, dirty dealings and subterfuge. Some of the people on this list are interviewed and the whole debacle provides a great insight into the goings on at the company and the industry at large in the ‘80s. 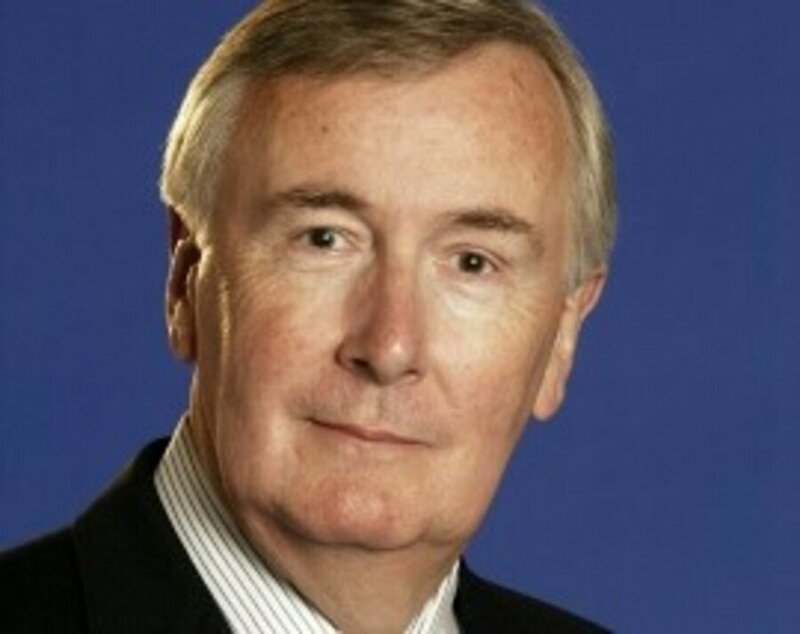 Rogers went on to form The Tetris Company where he still works as Managing Director. An absolutely pivotal figure in Nintendo’s handheld story and, arguably, in the popularisation of RPGs in Japan. You can read more about Rogers' incredible story and his relationship with Hiroshi Yamauchi in our feature from last year by the brilliant John Szczepaniak. The brothers behind developer Ultimate Play the Game, the company would become Rareware and create some of Nintendo’s biggest successes of the Super Nintendo and N64 eras. The Donkey Kong Country series gave the SNES a brilliant send off, but when Sony’s PlayStation was giving N64 a real kicking in the late ‘90s, it was incredible games like GoldenEye 007, Banjo-Kazooie and all Rare’s other hits that kept the candle burning for Nintendo fans. 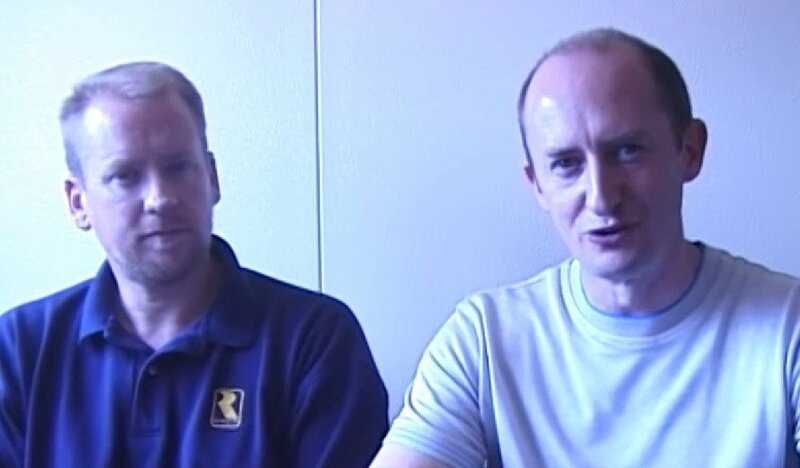 Following Microsoft’s 2002 acquisition of Rare, the brothers left in 2006 and have kept a relatively low profile ever since (Tim popped up on Twitter in 2015 with some juicy tweets about cancelled SNES game Project Dream, the game that would ultimately morph into Banjo-Kazooie). There’s no doubt, however, that Nintendo's history would be very different without Rare’s games bolstering the N64’s library. Formerly of HAL Laboratories and the father of Kirby and Super Smash Bros., Sakurai has famously done the same deal with the devil as Patrick Stewart and Cher, which causes great confusion when he tries to join in with the 10-year-challenge pic trend. 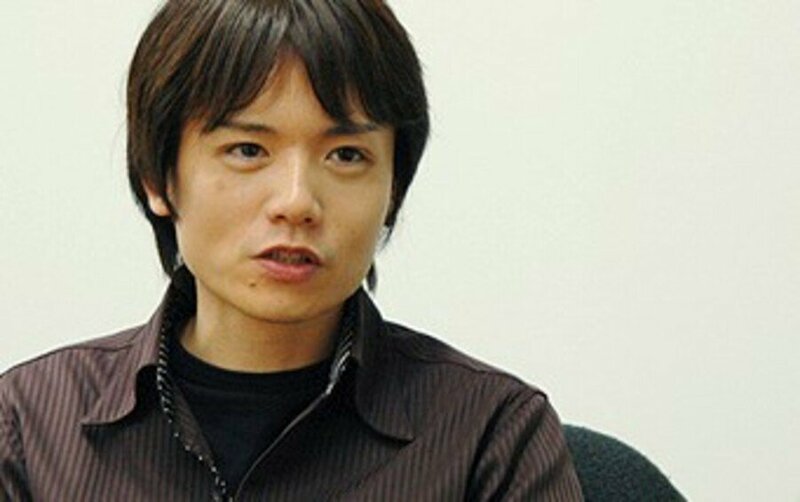 Somewhere in a Japanese attic, there’s a ghastly-looking portrait of Mr Sakurai. Considering the multiple stories that suggest he puts absolutely everything into his work – to the detriment of his own health – it’s even more surprising the years haven’t taken their toll on his youthful looks. As well as his most famous gaming progeny, he also led design on puzzler Meteos and writes a weekly column for Japanese gaming bible Famitsu. His dedication has helped Nintendo immeasurably, although once he’s finished up with the Smash Ultimate DLC packs, we hope he gets some much-needed R&R. Imanishi is the man who helped to convince Yamauchi that toys and electronics were where Nintendo should be. 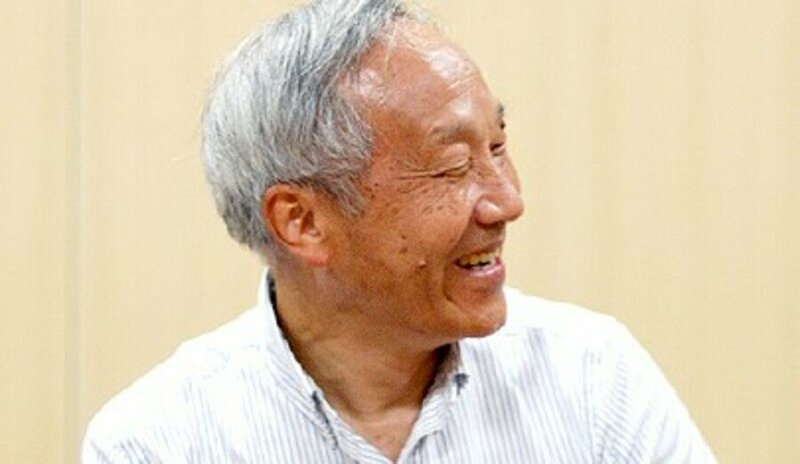 He founded the Games division of the company back in 1969 and was also responsible for recruiting Gunpei Yokoi, Genyo Takeda and Masayuki Uemura. So, without this guy, Nintendo wouldn’t have those guys. Pretty integral, we’d say. Tanabe’s first credit is as director of Doki Doki Panic, the game that would evolve into Super Mario Bros. 2 in the west. Following that, he did design work on a great number of platform games, including many of the Kirby games, plus writing on the Zelda series including A Link To The Past, Link’s Awakening and Ocarina of Time. More recently he’s done production work on dozens of titles, perhaps most notably on the Metroid Prime series – he’s listed as a producer on the upcoming Metroid Prime 4, so he’s no-doubt got his nose to the grindstone as we speak. While Koji Kondo gets the credit for Mario and Zelda, much of the music from the NES' early catalogue comes from this man. Adept with earworm-y melody and textured ambient tracks alike, he helped drag video game music out of the realm of mere blips and blops. 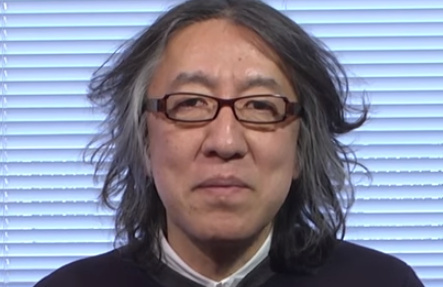 Whether it's his infectiously bouncy Balloon Fight tune, the unnerving atmosphere of Metroid, the catchy jingle and effects of the original Donkey Kong or that tune from the Game Boy version of Tetris, Hip Tanaka created a soundscape for Nintendo in the '80s that would go on to shape video games as a whole. A most excellent person by all accounts, he occasionally performs in clubs and other venues under the name Chip Tanaka. Although he left Nintendo in 1999, he's been with Creatures, Inc. (one of the three entities that comprises The Pokémon Company along with Nintendo and Game Freak) ever since, becoming its president in 2001. Glance at Kimishima’s CV and you might conclude that he’s the man you tap for interim executive positions. 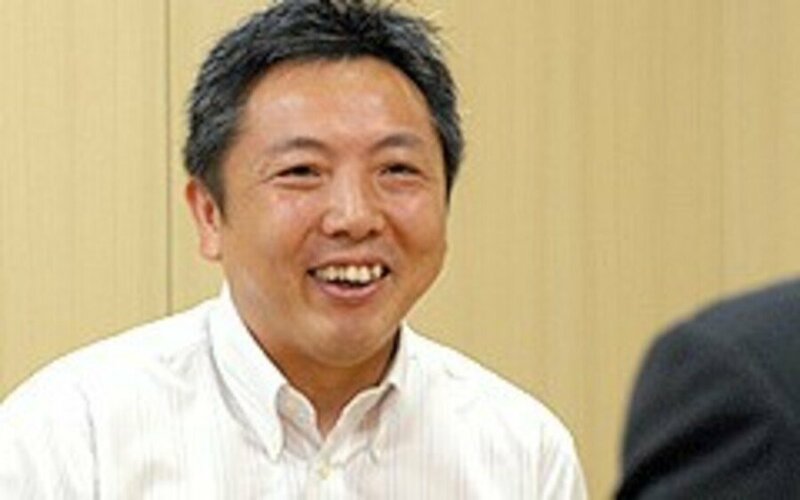 Despite keeping a generally low profile, he spent two years working at The Pokémon Company before succeeding Minoru Arakawa as president of Nintendo of America in 2002 (after which Reggie took the reigns). In 2015 he was the go-to guy for the worldwide presidency when Satoru Iwata suddenly passed away. He shepherded Switch to market in 2017 and helmed the ship until Shuntaro Furukawa took over in 2018. Although he may not play the showman like certain others on this list, he’s quietly overseen a great many of Nintendo’s successes from positions all over the company. Yes, yes, we’ve included the big guy. His marketing nous and strategising have been key to the company’s continued success in the US. 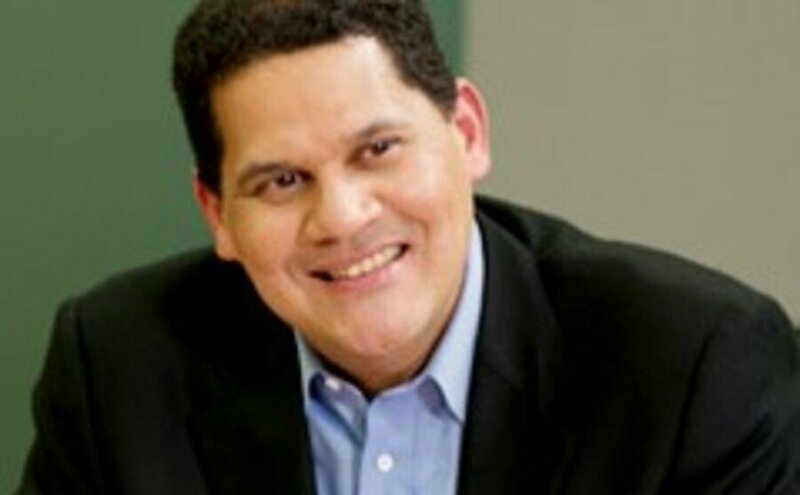 Although he can only sell what he’s given to work with and ultimately has little influence on the overall direction of the Japanese company, Reggie’s tenacity and personality as the face of Nintendo in the west has elevated him in the minds of many gamers. 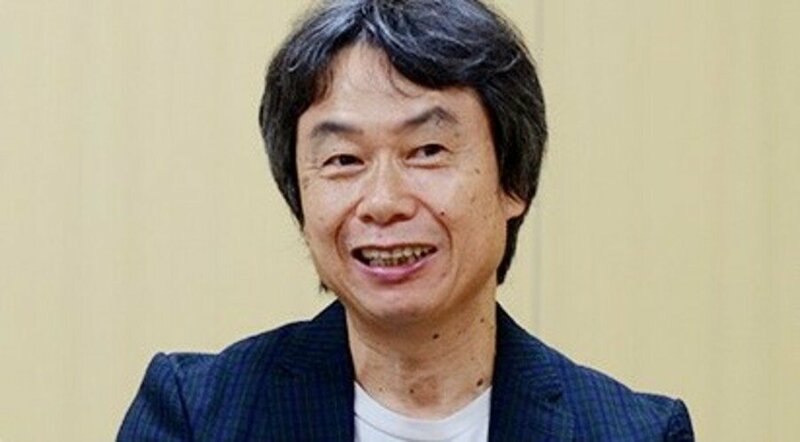 From a PR perspective, he’s had a tremendous effect on the perception of Nintendo, despite having little influence over the company’s products. For that reason, we think he deserves to sneak onto the list. 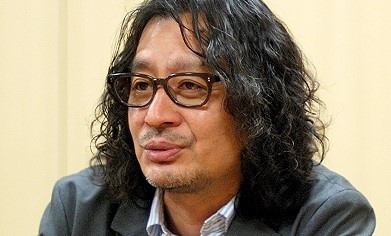 There are many more people who have contributed greatly to our favourite games, of course – check out the likes of Masamichi Abe, Shigefumi Hino, Keisuke Terasaki and Risa Tabata, for example. Other people are still something of an unknown quantity – incoming NOA president Doug Bowser and current worldwide president Shuntaro Furakawa, for example, haven’t had enough time to make an impression. Game development – both hardware and software – is a long process, and only over the coming years will we see the results of recent decisions and how their influence is shaping modern Nintendo. There are also other famous names like Nintendo Treehouse veteran Bill Trinen or even the voice of Mario, Charles Martinet, who have made massive contributions, but they’re fundamentally working with material they’re given by Japan. Still, they're key figures in the overall story and the Nintendo we know and love today wouldn't quite be the same without them. Who else can you think of that’s contributed to some of your best Nintendo gaming memories? Let us know in the usual place. Pretty sure the most important person in Nintendo history is Waluigi. Funny you didn't include John Kirby, the lawyer who actually won them the Donkey Kong case and after which the Kirby series was named, but you did include the guy that hired him. Anyway, this is a great article, and I learned stuff about Nintendo, which doesn't happen often nowadays. Good you gave some recognition to Reggie, he may not be a developer or a decision maker, but he has been hella good at showing their products in a different way. Bookmarked! This is an awesome feature. Thanks NLife! I think you guys missed Kazumi Totaka! I really enjoyed this article. 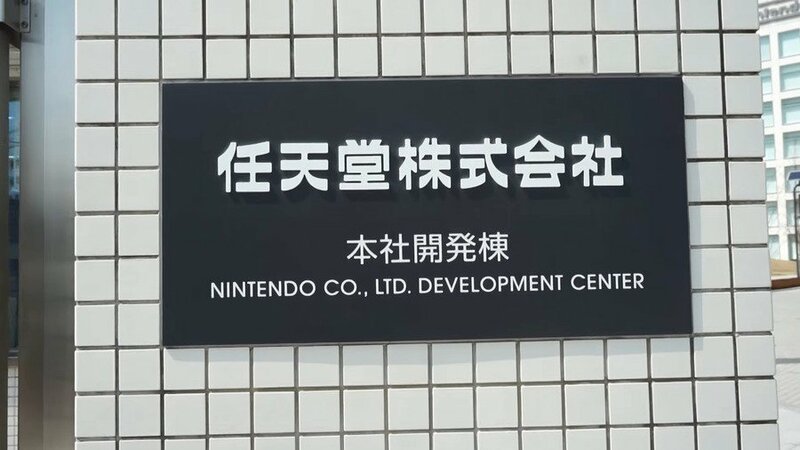 We all know some of the more famous faces, but it’s nice to get a look at some of the more unsung heroes at Nintendo. sakamoto "revered"? Get outta here! His Metroids are the worst selling and the most disliked. And Zelda got worse since Aounuma entered the series. BotW is the exception but I bet it was just a fluke. I doubt it will get it right again. All right! Now let's see the Shirtless VIPs of Nintendo Charity Calendar 2019. @nofriendo a Troll no less. @SwitchForce How do you figure? Howard Lincoln was the one who declared Night Trap would never appear on a Nintendo console?! I thought it was Digital Pictures who declared that after getting upset that reportedly NoA chose their game as an example of "bad" games while looking to defend itself after the Mortal Kombat controversy blew up on them. I recall from an article that even in 2014 (20 years after the original Kombatgate that turned into legislation that resulted in the formation of the ESRB) the original producers were still a bit upset that their game was the one time Nintendo managed to censor a game on rival hardware. And yet just a few years after that the game did appear on a Nintendo console for the first time. Awesome read! Glad to most of the big guys at Nintendo in one article! @Octane Finally, someone else acknowledges it. Good read. Lot of names I didn't know in there. What a talented bunch of people that helped create some of the greatest games ever. And not a single African-American woman amongst these names? Come on Nintendo of Japan, it's 2019! Where is the diversity!? Some of these credits are off. 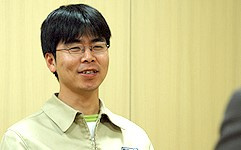 Hideki Konno directed Yoshi's Story, not Katsuya Eguchi. Yoshiaki Koizumi didn't direct Super Mario Odyssey, Kenta Motokura did. That's just what I see straight off, but you guys are trying and I appreciate that. You should credit Satoru Okada with Kid Icarus too, since that guy gets so little credit for what he's done generally. 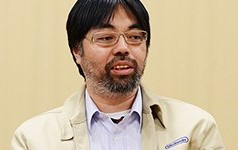 ...and Hirokazu "Hip" Tanaka, the composer for Balloon Fight, Metroid, Kid Icarus, Super Mario Land and Dr. Mario. Interesting that there aren’t any women. I wonder who is the most influential woman in Nintendo history is? Amazing group of people. We truly owe them a lot. Great deal of respect for them. God bless them. @DK-Fan What are you talking about? Super Metroid is still one of the most popular in the series. I won't bother defending Zelda... you're welcome to your (incorrect) opinion. What the hell...all males, not black (the best colour) and probably all cis too. Hey where is a Female President. Both seem to lack any credible culture knowledge. Troll supporting trolls. How about the two join hands and sing kumbiya. So the current CEOs from Japan and US are nobody? @SwitchForce I was making fun of him for making a joke about diversity, not sure who you’re making fun of or why. I’m sure we both know that Japan is not a diverse country and that their culture is rife with misogyny. I noticed that Sakurai and the Stamper brothers were the only second party employees that you listed. It would be interesting to see a Part 2 covering the bigwigs of Nintendo's second party companies like Game Freak, Intelligent Systems, Retro Studios, and Monolith Soft. @DK-Fan Yes, "Other M" has a mixed reception (although it still has excellent gameplay and a pretty good overall story once you get past the lousy dialogue and the illogical plothole of holding out on the Varia Suit), but you can't complain about what Sakamoto did with "Super," "Fusion," and "Zero Mission," the former of which is generally hailed as the very pinnacle of the series. As for Zelda, I'm not a big fan of the series myself, but I've heard that Aonuma's games like "Majora's Mask," "Wind Waker," and "A Link Between Worlds" are also among the most popular Zelda games, while others like "Twilight Princess" and "Skyward Sword" are still excellent games even if they're generally considered second tier relative to others in the series. To everyone who suggested Hip Tanaka, we've added him in. Top man. My favorite man on this list is Hisashi Nogami. The Animal Crossing series is simply the best! In the thumbnail, who's the old woman next to Gunpei Yokoi? I've already forgotten most of what I just read (after something like 20 years of studying Japanese and half as many actually living here, Japanese names still all kind of sound the same to me), but this was still a fantastic article. Also, Hiroshi Yamauchi totally looks like the Japanese version of my own grandfather, will probably change my childhood memories forever.